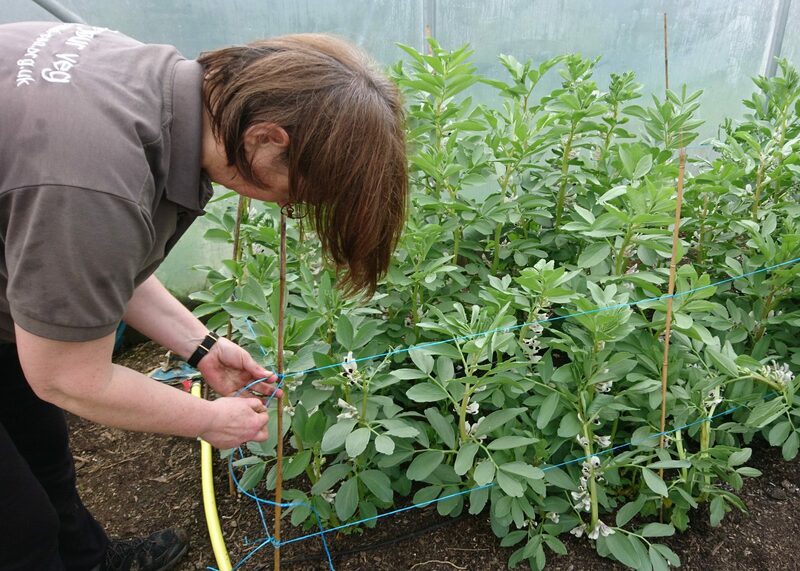 The heady scent of broad beans fills the polytunnel as grower Bridget and volunteer Vicky ensure the early broad bean crop is tied in securely. 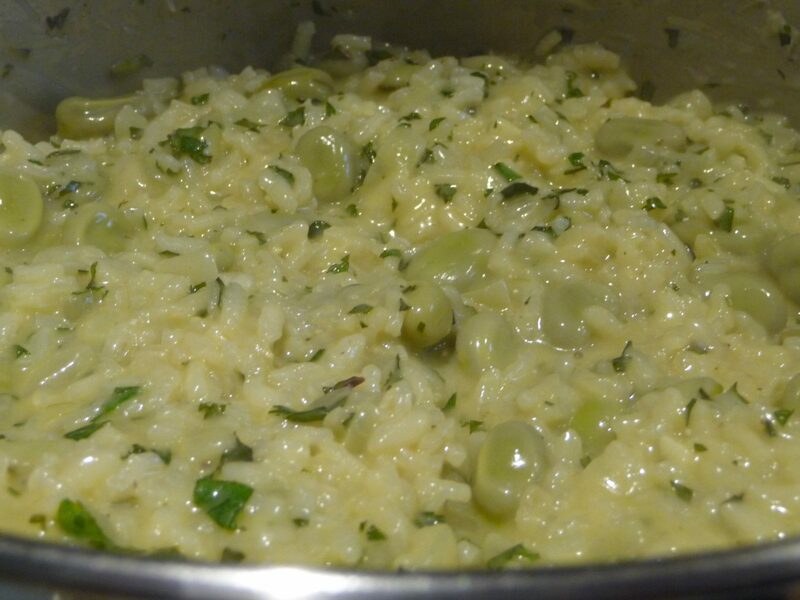 This fantastic risotto recipe is taken from chef David Eyre’s The Eagle Cookbook: Recipes from the Original Gastropub. We had it for our meal last night; Frank didn’t “shuck” the beans (take them out of their little grey sacs), he cooked the beans in the risotto and it still tasted great! To shuck the beans drop the podded beans into a pan of boiling salted water and leave for about 30 seconds, then drain and cool them quickly under running cold water. 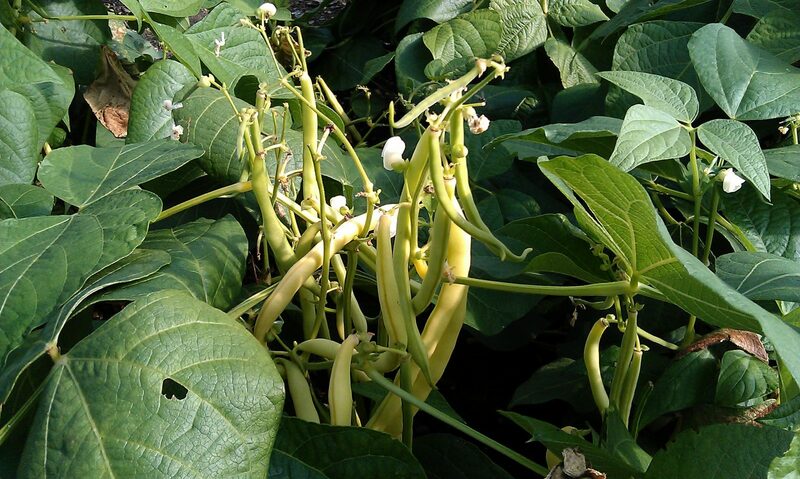 Take a bean in one hand and aim it at a large bowl. Squeeze gently between your forefinger and thumb. The bean will pop out of the membrane and fall into the bowl in two neat halves. Put the stock in a pan and bring it to simmering point. Gently heat 100g of the butter in a separate pan, add the onions and garlic with a little salt and fry until tender. Do not let them brown. Turn the heat up high and pour in the rice. Stir it with a wooden spoon for about half a minute, coating it with the butter; do not let it stick to the pan. Add the wine and let it bubble fiercely for about a minute, stirring gently all the time. Reduce the heat and start to add the hot stock in stages. When the rice is done, remove from the heat, add the rest of the butter and cover the pan until it has melted. Stir in the broad beans and mint, then add the Parmesan and some seasoning. Serve immediately. 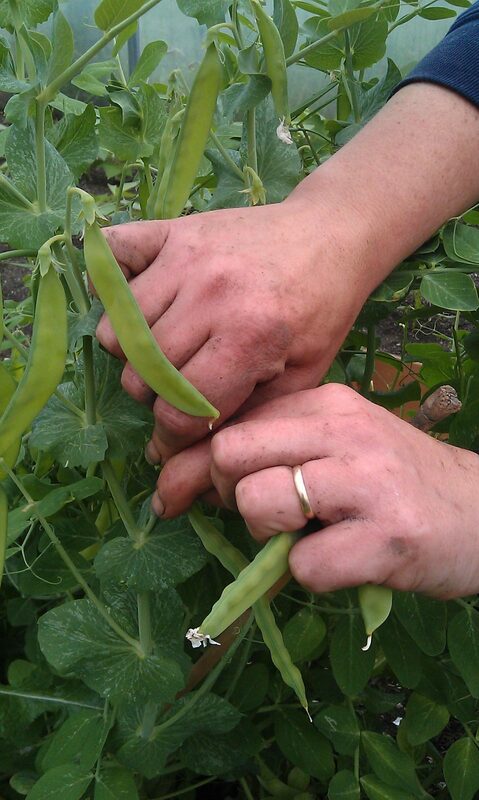 Our early summer crops are starting to come on nicely. 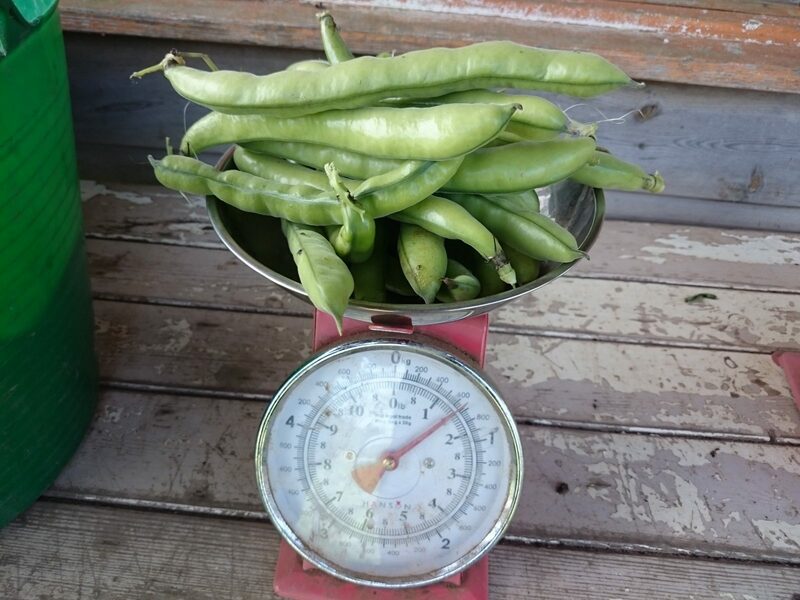 We have the last of the polytunnel-grown broad beans in the boxes this week along with the first of the podded peas for a lucky few. This is from Hugh Fearnley-Whittingstall’s River Cottage Light and Easy. It takes the classic seasonings of chorizo sausage and mingles them with fresh fish to create a gloriously red, richly-flavoured dish. Check the fish for pin bones, prising out any you find with tweezers, then cut into roughly 2 cm chunks. Put into a bowl with the spices, garlic and oil. Add a pinch of salt. Turn together and leave for half an hour in the fridge. Heat a large frying pan or wok over a medium-high heat. Add a trickle more oil, then the fish, and cook, tossing often, for 4-5 minutes, until cooked through. Stir in the broad beans and cook for another minute. Squeeze over the lemon juice and remove from the heat. Taste and add more salt if needed. Divide between bowls and serve, with some fresh mint sprinkled over if you like. Serve with rice, flatbreads or potatoes if you want a heartier supper. 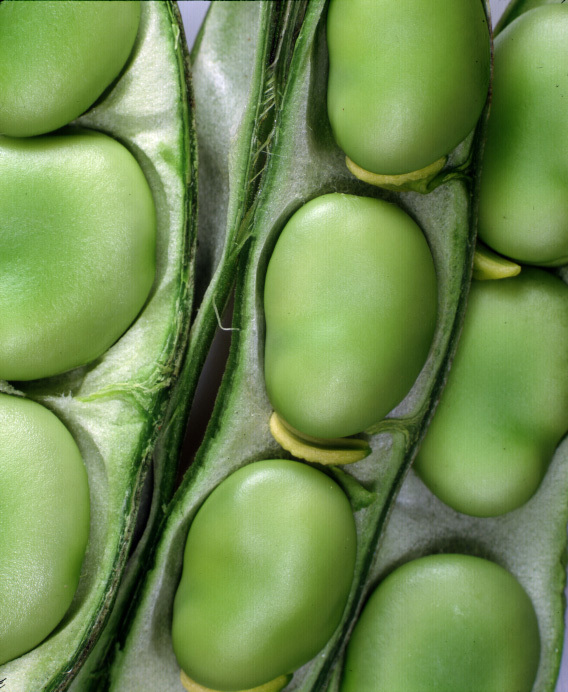 Cook the broad beans in a pan of boiling, salted water for 2-3 minutes, or until tender. Drain well, then refresh in cold water. When the beans are cool enough to handle, peel away the outer skins, if you want to. Heat the oil in a small ovenproof frying pan over a low heat. Add the onion and season with a pinch of salt. Fry for 8-10 minutes, or until softened but not browned. Meanwhile, preheat the grill to its highest setting. In a bowl, whisk the eggs until well combined and full of air, then season, to taste, with salt and freshly ground black pepper. Transfer the pan to the grill and cook for a further 2-3 minutes, or until the top side of the egg mixture is firm and pale golden-brown. Place a large plate upside-down over the pan, then turn the pan over so that the omelette falls onto the plate. Cut it into wedges and serve with crusty white bread. 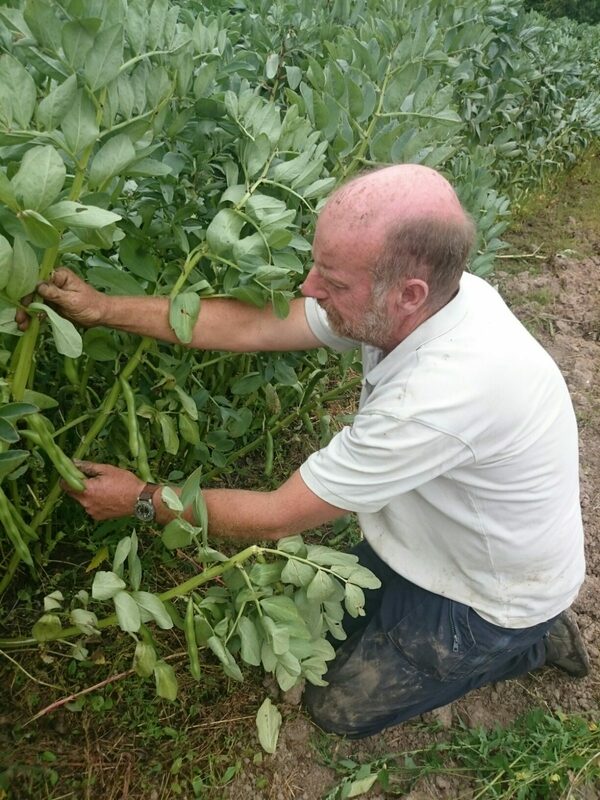 Broad beans still going strong! It’s a lucky dip again this week. 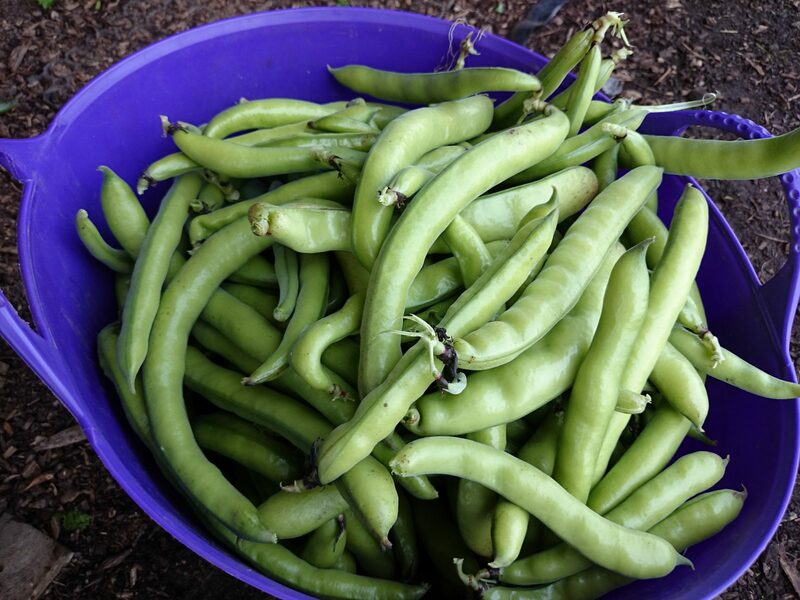 We’re each getting two of the following – French beans, broad beans, peas and mangetout. 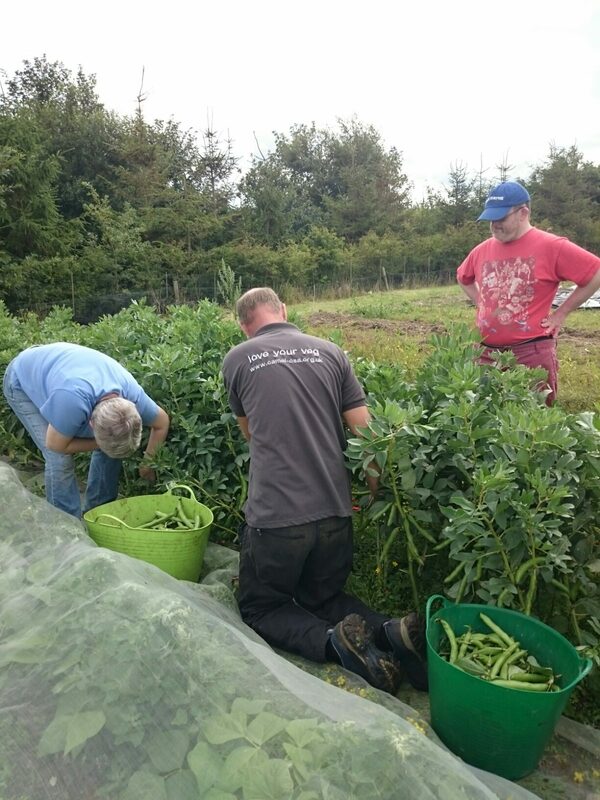 They’ll be randomly allocated by our volunteer pickers and packers. The tomatoes are fruiting madly along with the green peppers and aubergines. 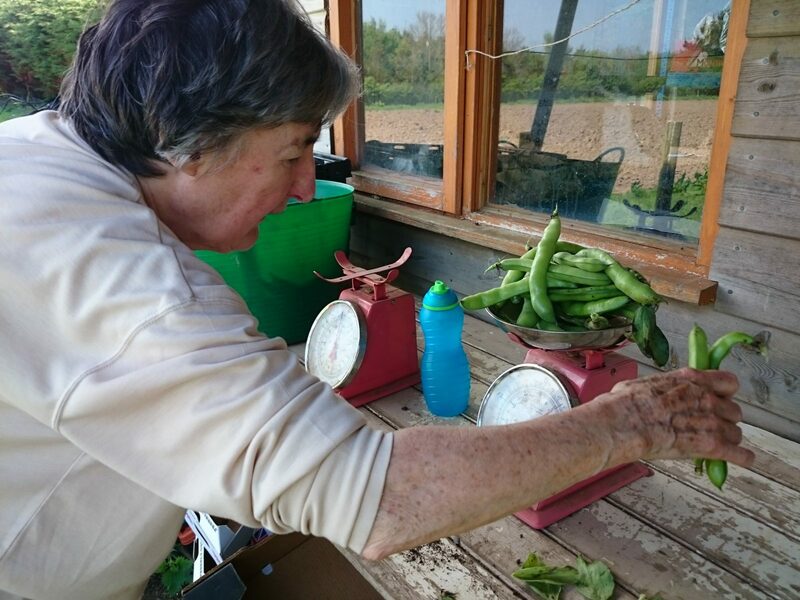 We have more than 100 tomato plants indoors and they have to be tended carefully – it takes one of us about three hours to prune them every Monday. 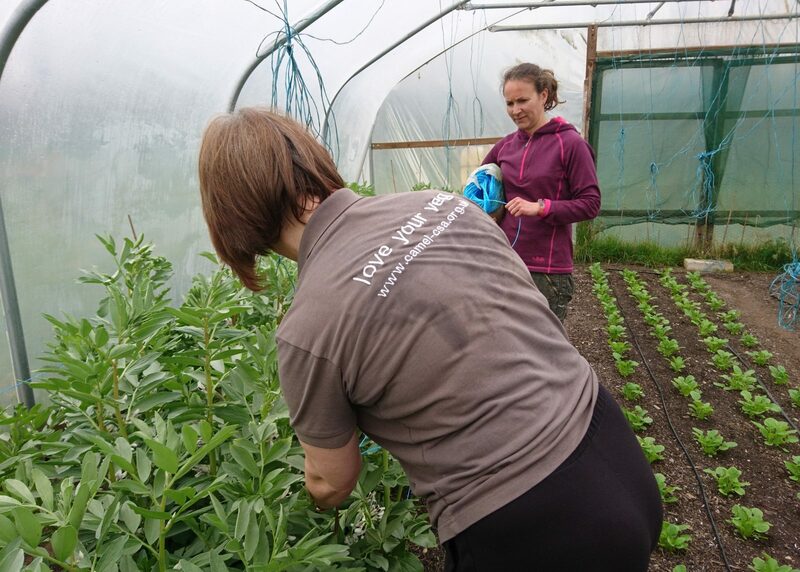 A pleasant job until the polytunnel heats up! AND the first of this season’s tomatoes!